And hundreds of uniform plates covering every Unit involved in those scenarios. Each scenario is divided into three briefings for the: Game Host, French Army, and Russian Army; providing custom maps, historical context, victory conditions, deployments, and orders of battle. 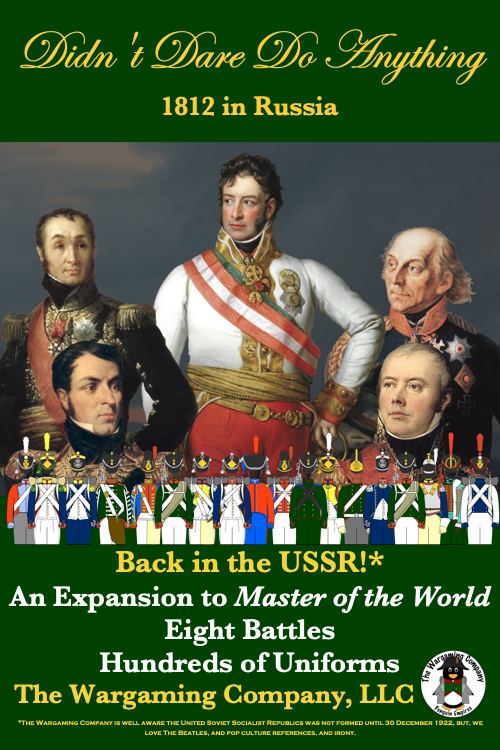 Didn't Dare Do Anything also provides a campaign framework is also provided to play these scenarios as part of the Master of the World, 1812 in Russia Campaign Guide. all I need now is for you to do a Duchy of Warsaw army box and i'll buy ! We've got something in the works, just not yet available!